Check out our video showing the latest recon. job start to finish on this CAT DP18 Lift Truck! At Hannamans we recognise that making the most of your capital is essential to running a profitable business. Should our customers not want to buy new, our workshop provides customers with greater flexibility and opportunity when preparing annual budgets in respect to equipment replacement costs as we can remove existing equipment from site and return them fully repaired or refurbished to our high standards, keeping costs to a minimum. Our workshop is equipped with the latest diagnostic equipment so as to effect quick, long-lasting repairs which are equal to or exceed the original equipment manufacturer’s specifications. We can also provide a temporary replacement from our hire fleet of equipment so that you don’t have to stop production or incur any downtime in your operations. Our unique workshop facility extends to all types of major repairs and full equipment overhauls. 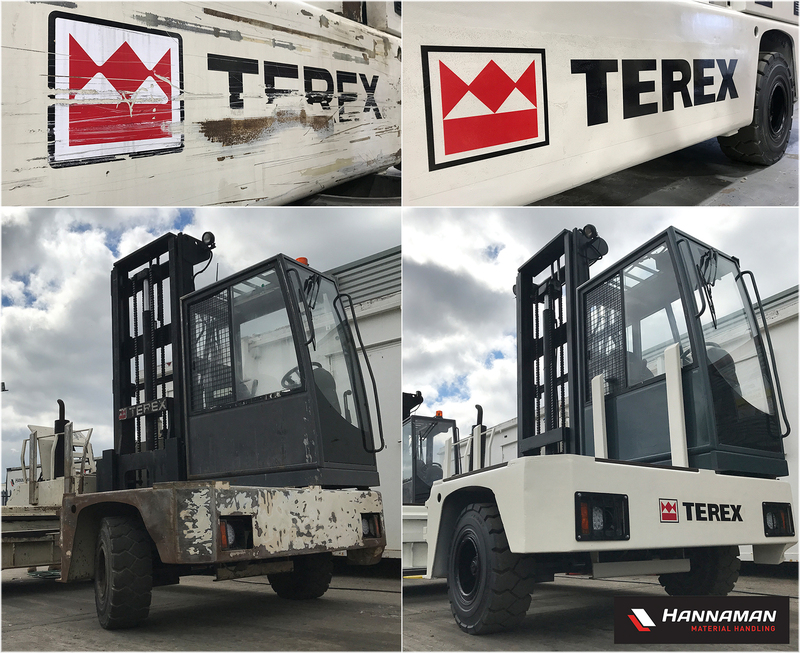 Hannamans have been servicing a wide variety of Forklift trucks for over 40 years. 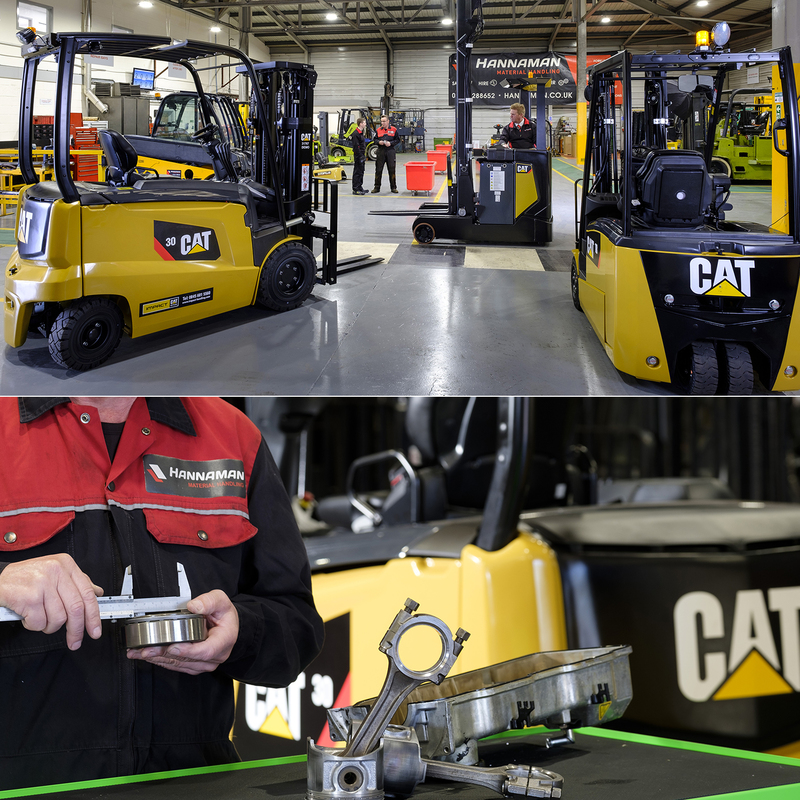 Our team have extensive industry knowledge across all brands including, CAT® Lift Trucks, Baumann Sideloaders, Clark, Combilift, Fantuzzi, Terex, Nissan, Hyster, Linde, Toyota, Jungheinrich, JCB, Bendi, Flexi, Crown and many more. 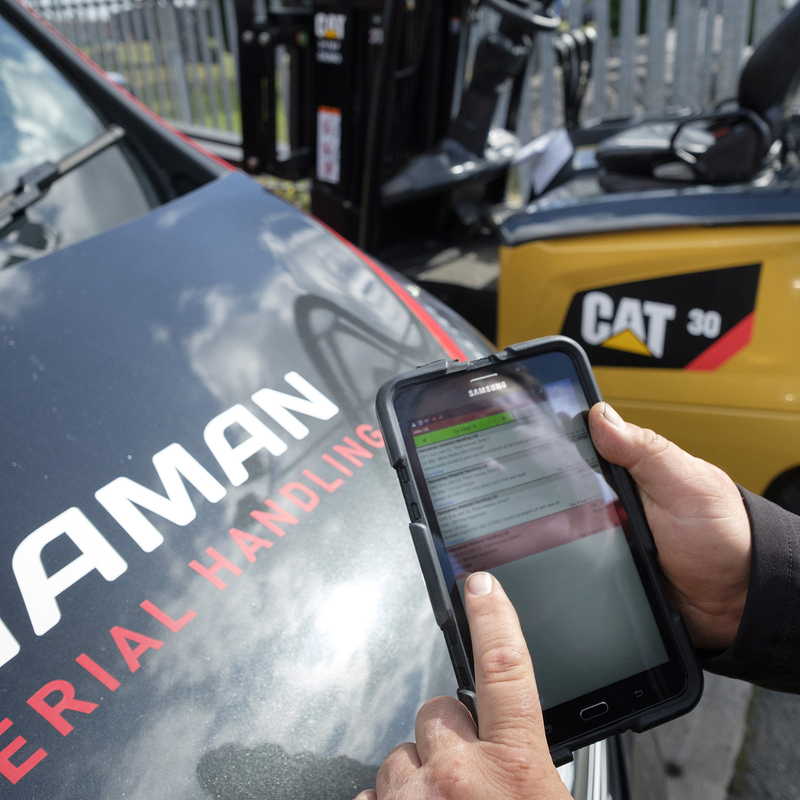 Hannamans run an efficient modern fleet of service support vehicles, equipped with all the necessary tools and diagnostic equipment to enable our engineers to problem solve and effect most repairs on site. All of our service support engineers are fully qualified and trained to work on the latest machines and equipment and through our smart management system, they are always in constant contact with our customer service team, so in emergency situations or breakdowns they can be easily diverted to assist. With a wide variety of solutions available, customers can choose with confidence the best combination of service and maintenance packages on offer, safe in the knowledge that our service support engineer is dedicated to maximising the uptime availability of our customer’s fleet.